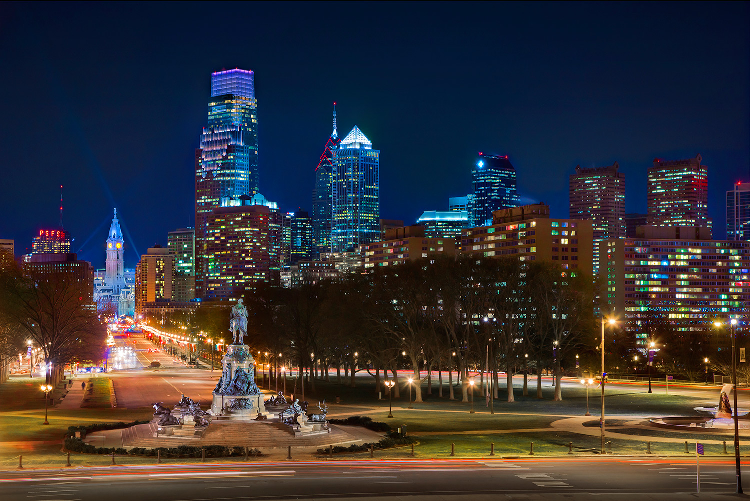 Valentine’s Day falls on a weekend this year, and whether or not you are scrambling for plans, there is plenty to do this weekend in the City of Brotherly Love. Click each link below for tickets and/or additional details. Friday, Feb. 12 at 2 p.m. – 12 a.m.
Saturday, Feb. 13 at 11 a.m. – 12 a.m.
Sunday, Feb. 14 at 11 a.m. – 8 p.m. 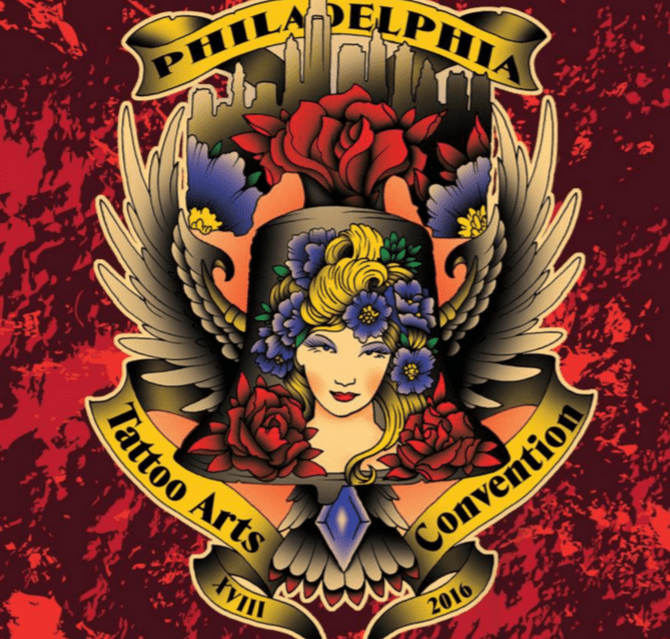 The annual Tattoo Arts Convention is happening this weekend. It’s a pretty sick event for people-watching. If you have never been before, tattoos are not required…only an appreciation for art. Some of the world’s most talented tattoo artists will be there, so here’s your chance to sink the ink if you’ve been contemplating it. If that’s not your style, you can peruse some prints or enjoy this year’s entertainment, which features a burlesque show, pin-up contest, and live human suspension. Friday, Feb. 12 at 7:30 p.m. The Boss and The E Street Band make one stop in Philadelphia Friday night as part of The River Tour. Tickets have long been sold out, so if you were able to scoop one up, here’s hoping for another one of his four-hour marathon shows. If you’re looking for tickets, be prepared to fork over $300+ on StubHub. Presented by Broadway Philadelphia, travel back in time with Rain: A Tribute to the Beatles. This stunning, note-for-note theatrical concert event is a live multi-media spectacular that takes you on a musical journey through the life and times of the world’s most celebrated band. Featuring new songs and high-definition imagery, it’s the next best thing to a live Beatles concert. Tickets range from $30-$95. I was in college when the first Zoolander came out, and I might’ve watched it 346 times before I graduated. Whether my wife knows it or not, we I will be seeing this. Saturday, Feb. 13 10 p.m. – 2 a.m. 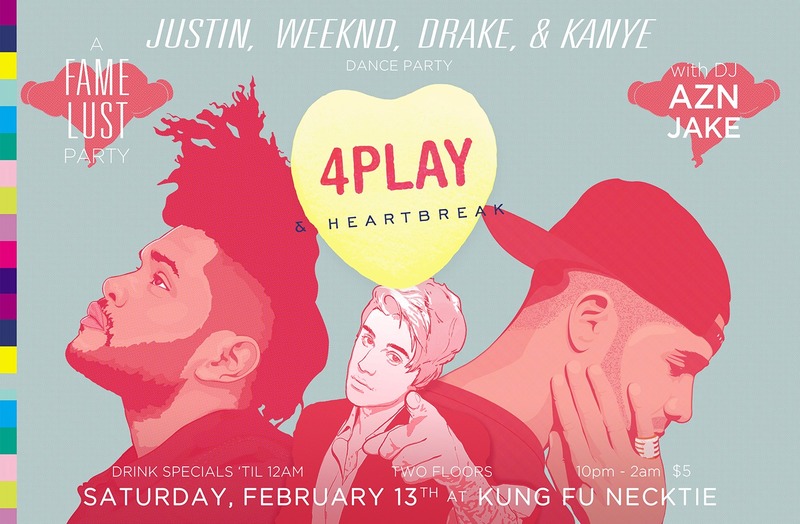 The 4PLAY dance parties at Kung Fu Necktie are always a big hit, and this weekend’s pre-Valentine’s Day edition looks super sweet. $5 to enter, and $3 Citywides and $3 well drinks til midnight. On the second Saturday of each month, the shops and restaurants along East Passyunk Ave. in South Philly offer up free refreshments, great sales, live music, new art and more. Click the link for details. Date ideas abound, from the Sweetheart Skate at Dilworth Park to ventriloquist Jeff Dunham at the Wells Fargo Center. If you haven’t booked dinner reservations yet (like, seriously?) check out my list of 13 Valentine’s Day menus destined to impress over at wooderice.com. Single? Maybe the Cupid is Stupid lambic/stout beer pairing at City Tap House is up your alley. What!! No mention of western new york, mid-day sports radio?? this site is the best. glad I found it. Nah, Valentine’s Day at a restaurant is amateur night. They jack up the prices, they are packed and the service stinks. Cook a nice meal at home, uncork some good wine and then give it to her in the azz. Would love some tips from Pizza Mike about v-day. Brace, can you call me? I wanted to find out how you’ve become a regular on BOB. Also, how did you get on ESPN? I called them nonstop after the Riley Cooper story and they never called me back. You can reach me at home. I’m there all day. Every day. We should figure out a way we can work together. I’ll drop Jim if you say Yes.